No Olympic athlete ever won a medal by only practicing when they felt like it. No successful company presidents or CEO’s ever got their position by showing up to work only when it was easy. No one has ever accomplished anything without first taking this one action: submitting themselves to the process of being remade. They chose to remake their schedules, priorities, habits and thought processes in order to do something new. Likewise, if we want to reach a goal, do a new thing or have our lives transformed, we first have to commit ourselves to the process of change. When we choose to submit our lives to a process of being remade, we are walking toward a purpose. This transformation takes effort. We must decide what it is that we want, determine what it will take to achieve, and then diligently and persistently follow through with our actions. Furthermore, we must make the commitment to pursue our change even when life gets difficult: when the house is a disaster, when our children are going s little crazy, when there’s not enough money in the bank, when we don’t know how, or when our past comes back to haunt and discourage us. In case you are feeling a little discouraged or overwhelmed by the work of being remade, there is good news! God has given us communities in which to do life so we can be encouraged and cheer one another on. These communities are clubs, organizations, work out groups, business associates, family, church and more. They meet in person or even online. My deepest desire is that you have a healthy, inspiring community to belong to. If you do not, can I invite you to join my Being ReMade Encouragement group on Facebook? It is a safe place to find weekly encouragement for walking through life’s difficulties, growing in faith, connecting with God, and becoming who God created you to be. 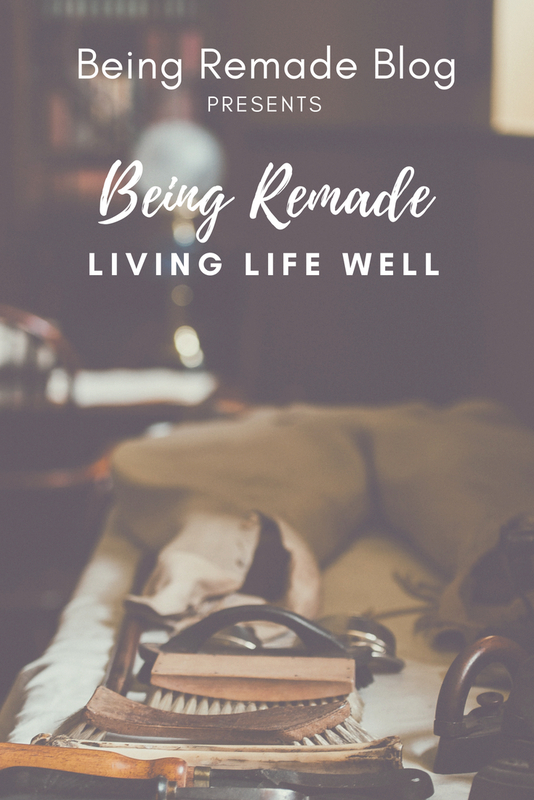 Of course you are welcome to come back to this blog on a regular basis to read more in depth posts designed to encourage, equip and empower you in the process of being remade. I am honored that you have taken the time to stop by a read this post. If you would like notifications when new blog posts are published, please subscribe below. And I would love to hear from you, please leave comments to let me know how else I can help you in this journey of living life well. Many blessings to you!